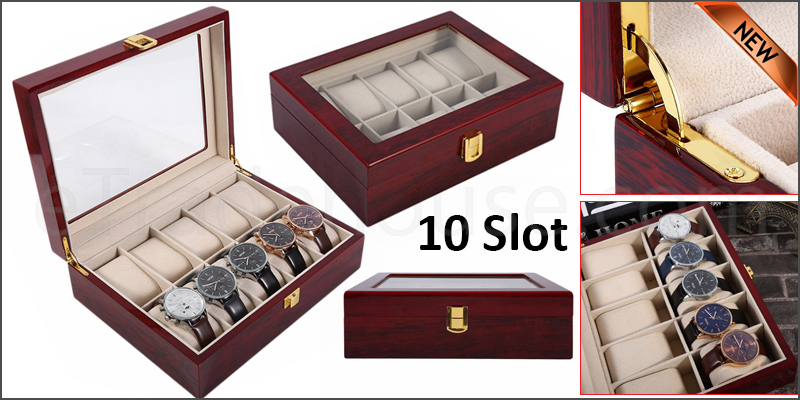 This storage case / display box is specially designed to store ladies and gentlemen’s watches. Ideal way to keep watches organized, protected and dusts free. The outer case is made from high quality wood and the interior with soft fabric. The case has a durable scratch resistance glass viewing panel and a gold metal clasp providing secure closure. • Exquisite High-Gloss Lacquer Wood, Velvet Inner, Top glass, Soft pillows. • Use Microfiber Cloth to clean your watches and case. • Glue Smell will disappear after you open and use this box for several days.